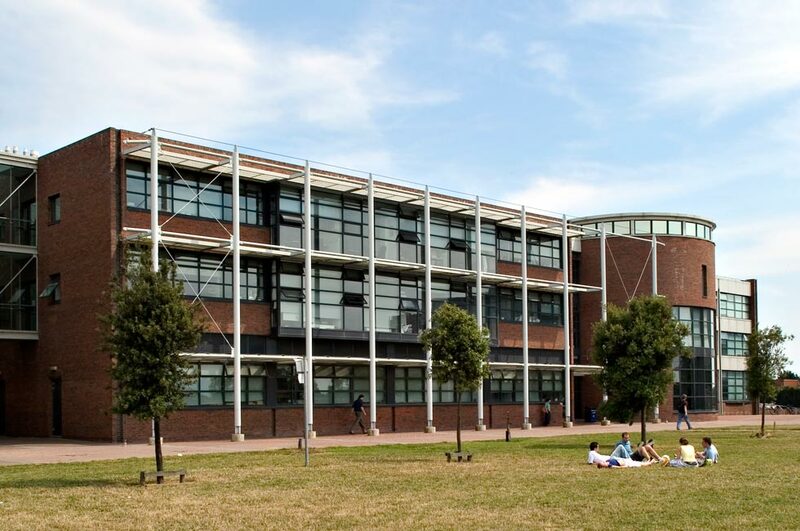 This project involves the construction of teaching facilities on the Developing Campus of Dublin City University. The main block consists of 10,000 sq.m. of laboratories, research areas and offices. 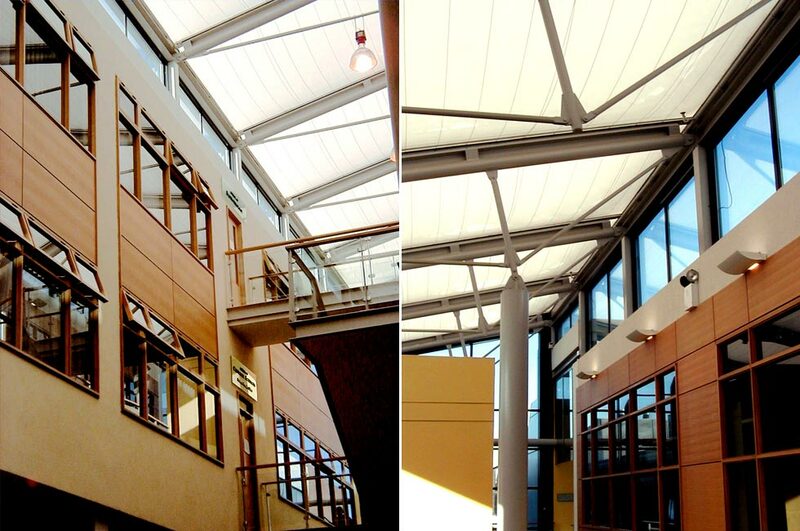 The building is arranged in two blocks, either side of a central atrium/communal space. The administration block faces onto the central space of the campus, and continues the rhythm and material of existing buildings. 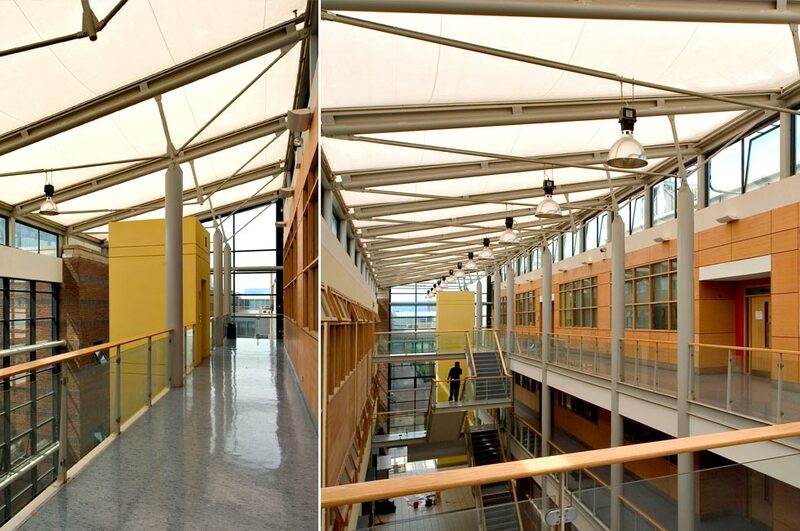 The laboratory blocks faces north, for better quality of light, and is stepped in section in order to allow for maximum penetration of natural light. The 3,000 sq.m. 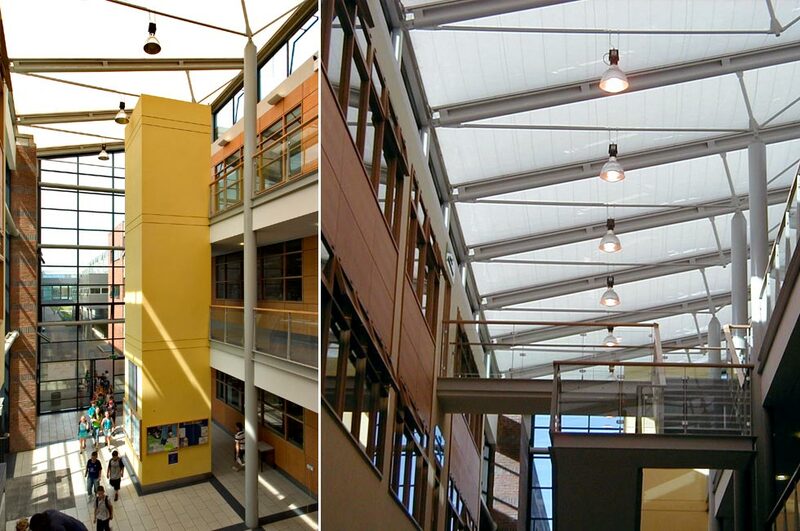 school of nursing is located at the western end of the atrium, connected by a naturally lit link space. 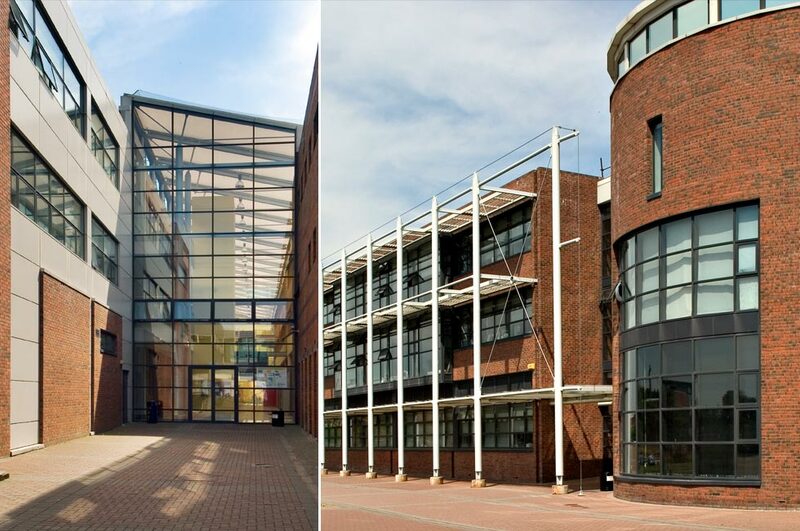 Facilities provided include 4 large lecture theatres, smaller teaching spaces and administrative areas. 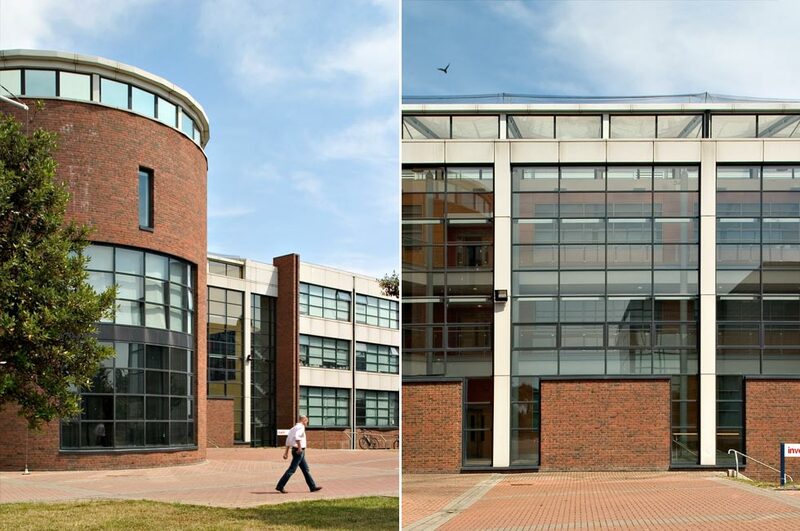 Materials chosen, such as bricks and curtain walling are designed to compliment and enhance the existing campus palette.